Waterfall Info: Coming from the top, this is the second waterfall on Crenshaw Branch. 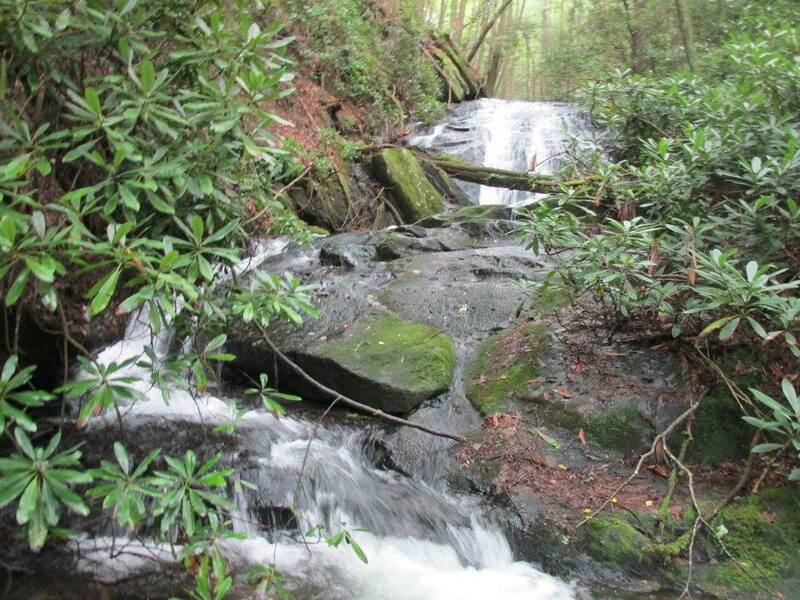 It's also the main and most scenic waterfall on the stream and along the Mountaintown Creek Trail. Access Info: Easiest access is via Mountaintown Creek Trail from Buddy Cove Gap on FS 64. The falls will be to the right. You will pass the small upper falls first. Alternative access is available from the bottom from FS 241 via Bear Creek Trail (past Gennett Poplar), Pinhoti Trail, and Mountaintown Creek Trail, but it's a much longer and harder hike.